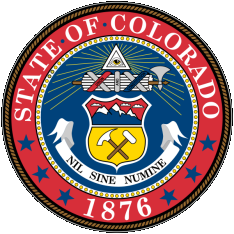 The Colorado Department of Public Health and Environment does not maintain marriage or divorce records; these Colorado vital records are court records. Colorado marriage records are available at the office of the county clerk and recorder, while Colorado divorce records are obtained from the clerk of the district court. Colorado marriage records generally date back to the earliest days of each county. The Denver Public Library has a statewide list of marriages indexed by the name of the groom for 1900-1939 and an online marriage index for 1975-present searchable by either the bride's name or the groom's name. The Colorado State Archives also has a statewide list of marriages for 1900-1939, with some earlier records mostly culled from Colorado newspapers, and an online statewide divorce index for 1880-1939 on the Colorado Department of Personnel and Administration website. Note: Records available include 1900 to 1939, and 1975 to present. Verifications for the years 1940 to 1974 are not available from this office and must be obtained from the county where the license was obtained. Record Access Requirements: Records are not open to the public. This agency refers to the record checks as "verifications." Search Note: Email questions to vital.records@state.co.us. Note: Email questions to vital.records@state.co.us. Search Note: The agency only has an INDEX of the records and will provide a certified verification. Actual copies of the dissolution must be obtained from the county where the event was finalized. Record Access Requirements: The requester must sign a disclaimer stating "This record shall not be used for the direct solicitation of business for pecuniary gain." Search Note: Fingerprints are optional unless statutorily-required. Records are 100% fingerprint supported. If charged after fingerprinted, the practice of notifying the state is becoming more common, though this not yet statewide. Note: Records are open per the State Open Records Act , pursuant to the Colorado Revised Statutes, Title 24, Article 72, Part 2.